Russia does not believe in regime changes anywhere in the world, only irresponsible politicians could consider such turnout of events regarding North Korea, Russian Foreign Minister Sergei Larvov said. 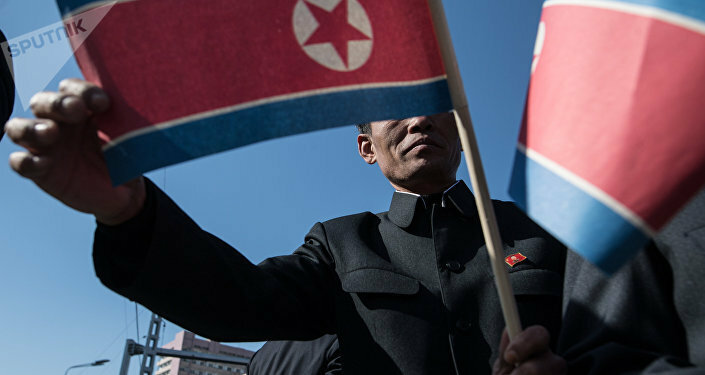 MOSCOW (Sputnik) – Russia considers the situation regarding North Korea as a threat because Pyongyang violates UN Security Council resolutions flagrantly, Lavrov said. "I cannot say that we are not considering a threat what is going on with the Korean peninsula because of what North Korea is doing in gross violation of the Security Council resolutions," Lavrov told the NBC network. "We do not believe in regime change anywhere. I hear very enthusiastic voices in the United States, including in some parts of this administration, that the patience has been over and they must do something because the threat is growing and growing, intercontinental ballistic missile was launched … And those who keep those scenarios in their minds, I believe they are not responsible as politicians." During Chinese President Xi Jinping's latest visit in Moscow, the Russian and Chinese foreign ministries issued a joint statement proposing ways to settle the North Korean issue. Moscow and Beijing urged Pyongyang to refrain from nuclear tests, and called on Washington and Seoul to cease joint drills. On July 4, North Korea announced it had successfully launched its first intercontinental ballistic missile, saying it traveled 580 miles and reached an altitude of 1,740 miles during its 39-minute flight before accurately hitting a targeted area in the Sea of Japan. The test was sharply criticized by the international community. Last week, Russian Foreign Minister Sergei Lavrov said that Russia was categorically against Pyongyang’s tests, calling them provocations. Hell Valley: Are Iran, Russia and N Korea Making Long-Range Missiles in Syria?